Andrew G. Slutkin is a named partner in the law firm of Silverman Thompson Slutkin & White, a Baltimore-Washington boutique litigation firm. For the past two-plus decades, Mr. Slutkin has devoted his professional practice to complex civil litigation matters primarily representing injured parties in medical malpractice, catastrophic injury, wrongful death, product liability and major automobile or truck collision cases. Mr. Slutkin also has served as lead counsel in a select number of multi-party and business litigation cases throughout his career. Click here to see a sample of settlements. Mr. Slutkin also has been trial counsel in several successful and high profile business litigation cases that have resulted in recoveries of over $100 million for his clients. For example, he and his partners were lead counsel in a $276 million fraud verdict in Baltimore against First Union National Bank. On the heels of that success, Mr. Slutkin and his partners served as counsel for the Federal Deposit Insurance Corporation in its fraud case against the international accounting giant Ernst & Young arising from the billion-dollar failure of Superior Bank in Chicago. Mr. Slutkin and his partners were able to successfully net the FDIC $125 million in payments from Ernst & Young. Recently, one of Mr. Slutkin’s cases settled for $190 million, which was the largest settlement of a sexual abuse class action. For the past 10 years, Mr. Slutkin has served as an adjunct professor at the University of Baltimore School of Law. During this tenure, he has taught classes on the Litigation Process and currently teaches Medical Malpractice Litigation. Mr. Slutkin has served on the faculty of the Maryland Trial Advocacy Institute, where he teaches trial advocacy and practice tips to Maryland attorneys. He also has served as a panel presenter and taught regular seminars for the Maryland Institute of Continuing Professional Education of Lawyers. Mr. Slutkin’s written court filings, including various motions and pleadings have also been published by West publishing group as templates for other lawyers to follow in their own practices. In addition, given his tract record of success against area hospitals, Mr. Slutkin has been an invited speaker before groups of physicians on the subject of medical malpractice litigation, and how to avoid it. Mr. Slutkin also is a former Chairman of the Board of Directors of The League For People With Disabilities. Mr. Slutkin has received an AV® Preeminent™ 5 out of 5 rating by the Martindale Hubbell Lawyers Directory, the most reputable national rating system for lawyers. 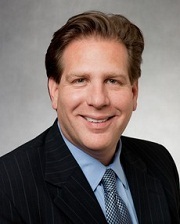 This is the highest rating for lawyers, signifying “very high to pre-eminent legal ability and very high ethical standards as established by confidential opinions from members of the Bar.” This rating resulted in Mr. Slutkin being selected as a "Top Rated Lawyer in Personal Injury Law" in 2013 and a "Top Rated Lawyer in Medical Malpractice Law" in 2014. Mr. Slutkin has been recognized as one of Maryland’s “Super Lawyers” for seven consecutive years beginning with 2007 (the initial year of the survey) and then from 2008 through 2013. The Super Lawyers publication recognizes only 5% of the eligible practicing lawyers in Maryland and the selection process involves peer review. Thousands of ballots are mailed out to Maryland lawyers who have been in practice for five years or more and they are asked to nominate the best attorneys they have observed in action. The factors considered in evaluating lawyers for this prestigious honor include settlements and verdicts, honors and awards and legal writings. In addition, in 2010 and 2011, Mr. Slutkin was voted one of the top 50 lawyers in Maryland by his peers in the "Super Lawyers" survey, and in 2012, 2014 and 2015 Mr. Slutkin was voted one of the top 100 lawyers in Maryland (after "Super Lawyers" eliminated the top 50 category and replaced it with a top 100 category). For the year 2013, Mr. Slutkin was bestowed the honor of being voted as one of the top 10 lawyers in Maryland according to his peers and “Super Lawyers.” He also has a 10 out of 10 rating ("Superb") on Avvo.com, which rates attorneys. In 2012, Mr. Slutkin was honored as Baltimore's "Lawyer Of The Year" for his dedicated representation of victims of medical malpractice, and was featured as such by the publication “Best Lawyers.” This prestigious award is typically given to a single lawyer in each practice and geographic area and was voted on by Mr. Slutkin’s peers. According to Best Lawyers, lawyers honored as "Lawyer of the Year" are chosen based upon voting averages received during a peer-review assessment conducted among thousands of leading lawyers each year. Not surprisingly, the designation "Lawyer of the Year", therefore, reflects the high level of respect a lawyer has earned amongst the top echelon of attorneys in the same community and practice area for ability, professionalism and integrity. Mr. Slutkin also has been included in the publication "Best Lawyers" in 2012, 2013, 2014 and 2015. Mr. Slutkin has also served as a member of the prestigious Peer Review Committee of the Attorney Grievance Commission of Maryland. This committee is charged with the broad power of evaluating the ethical conduct of attorneys who have been charged with misconduct. Over the years, Mr. Slutkin has been asked to serve as and held the position of Chairman of numerous peer reviews. * The case results above provide current and perspective clients with a sampling of the breadth of cases that Mr. Slutkin has personally litigated. Each case is different and the past record is no assurance that the lawyer will be successful in reaching a favorable result in any future case.